A nice thread on the Tinderbox Forum explores several ways to let your Tinderbox map automatically reflect the number of notes in a category, agent, or container. Good screen shots! In addition to making the next Tinderbox ready for Snow Leopard (and faster than an antelope, thanks to some new optimizations), I've been working long, long hours on UI detailing. I can’t imagine how this can possibly be profitable, but at the time it seemed like a good idea. He also writes that he ‘… can’t imagine how this can possibly be profitable.’ I have no way of knowing one way or the other, but I do know that small aesthetic improvements are valuable – and always appreciated. Recommended by Corey Doctorow, this anthology collects intelligent stories about intelligent young people with unusual interests. The editor’s own story, “Once You’re a Jedi, You’re a Jedi All The Way” is terrific fun: a Chinese-American Klingon girl wakes up at a science-fiction convention to find herself with a terrible hangover, in bed next to a Jedi. Scott Westerfield’s “Definition Chaos” is a curious project brilliantly executed, and Kelley Link’s “Secret Identity” is the story that really sells the collection, a terrific excursion into what I’ve come to think of as the Greco-Emswhiller Territory. 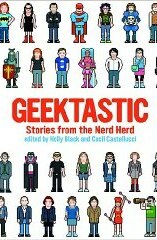 It’s shameful that we continue to find talent, intelligence, and passion to be a defect that young people must overcome or transcend, but these “stories from the nerd herd” are more fun than a barrel of kobolds. Theodore Roosevelt probably expected to lose his third-party bid for the presidency in 1912, but nonetheless found the electoral trouncing a bitter disappointment and 1913 a grim, grey time. To make some money for his children, he accepted a lucrative speaking offer in Brazil. To amuse himself, he planned a pleasant country excursion to the rain forest. The excursion ramified and expanded until it became an expedition. Why go to someplace everyone had been when you might easily go someplace more remote? Why go to someplace anyone has been, when you might just as easily make a contribution to Science? 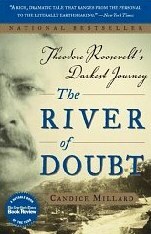 The result was more adventure than anyone would have desired, as Roosevelt and his companions descended the Rio Duvida (Doubtful River) despite disease, rapids, hostile Indians who remained unseen, and ever-dwindling food supplies. The story makes compelling reading, especially regarding the interplay of the heroic Roosevent and the fascinating Brazilian pioneer, Candido Rondon, who insisted that surveys be accurate, aborigines respected, and that under no circumstances whatsoever was anyone to shoot an Indian — even if the Indians decided to attack. I’ve been working long hours lately, moving Tinderbox to a new development platform with new compiler and new libraries. This pays down some accumulated technical debt, and the need to examine every object and every file helps build a cleaner system. But the main benefit you’ll see immediately is speed. Part of the speed boost will come from having a universal binary. Lots more comes from careful revisions, such as finding ways to do less work when loading and saving files. Lots of this is expensive; it's easy to spend several thousand dollars to save a few seconds. The stock answer is, “Of course! Nothing is too good for customers, user experience is crucial, and speed makes the experience better.” But that’s wrong. User experience is not what matters: getting your work done is what counts. Getting the book written, getting the plan approved, getting the right answer – all of these matter a lot more than a few seconds here or there. But seconds do count. If we can make Tinderbox load faster, that saves only a few seconds — but it saves those seconds many times a day, for many people. Perhaps none of those people really care about saving those few seconds. Perhaps none of them would pay to save them. But, in aggregate, it can make sense for them to pool together and invest a few thousand dollars because, in aggregate, it’s worth it. Update: a sensible response from Loryn Jenkins, who is more concerned with “flow” state and less worried about the economics of temps perdu. Another developer wrote a convincing email to argue that most software managers actually undervalue both user experience and freedom from technical debt. Recent years have seen fresh controversy over the nature of the decline and fall of the Roman Empire. Did Rome actually fall, or did it merely transform itself by degrees into Medieval Europe? Did the Germanic Barbarians cause the destruction of a civilization, or simply join it? Goldsworthy concludes that there can no longer be serious disagreement that the end of the empire in the West was, for almost everyone, a disaster, and turns to the pressing question of mechanism and blame: how did the disaster occur, and who was at fault? 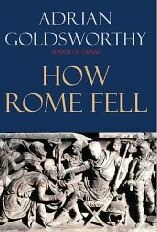 In the end, Goldsworthy concludes that great institutions of Rome – the bureaucracy and the army – forgot their business. Distracted by centuries of incessant civil war (itself the product of technological failure, since communications delays made it impossible to know what was happening or who to trust), the short-term goal of preserving the life of the current emperor overrode everything else – including sound government and prudent defense. In the end, the barbarians won because no one was doing their proper work. A brand-new and exciting weblog on Tinderbox and The Law debuts with a terrific study of managing an initial investigation. I am an attorney whose practice focuses on complex civil disputes. I have been using Tinderbox for ten years. Tinderbox has been a central part of my law practice for the past five years or so. Today’s weblog entry is exported from Tinderbox 4.9.0d1, a thrill-seeker pre-release (I’d turn back if I were you). It’s a universal binary. (At last!) Getting here has been a long, hard trek. And we’re not there yet — not even to the point where we dare let the noble Team Tinderbox Testers try it. The Journal of Digital Information has just published a special issue on spatial hypertext. Among the papers, you can read my own Shadows In The Cave: hypertext transformations, which discusses Tinderbox templates. At the Mind Mapping Software Blog, Chuck Frey reviews The Tinderbox Way. 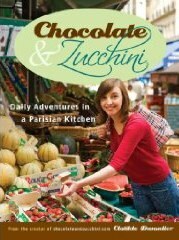 I've been reading Clotilde’s book , and so naturally a lot of her ideas crept into dinner. Tonight featured a good old-fashioned cooking disaster. These things happen. I wrapped a nice big chunk of my home-cured pancetta in a foil packet, and wanted to cook it gently, gently, in a very low oven for hours and hours. Because my big over would be busy, I used the toaster oven. Voila! Except somehow the toaster oven’s rheostat founds its way to 400° (200°C) when I meant 200° (95°C). This meant the confit was way over. But it was mostly edible, and it certainly was as lean as pork belly can be!